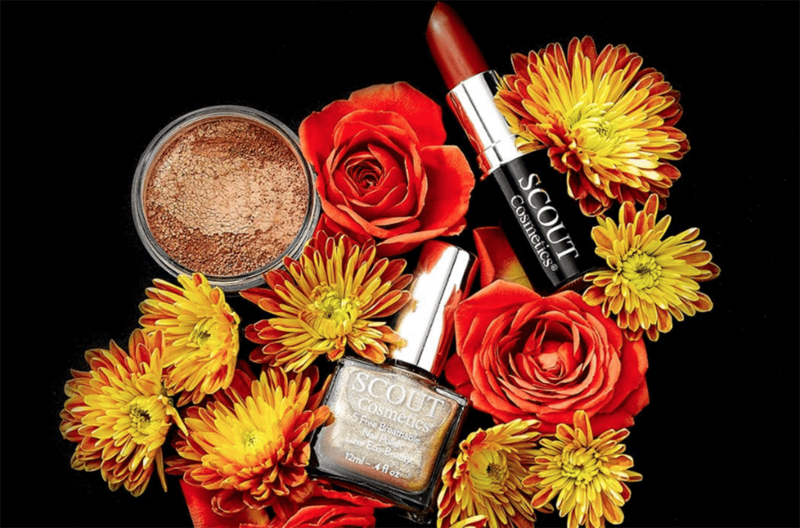 From their breathable nail polish and superfood skincare to mineral makeup that delivers, there’s a lot to love about Australian beauty brand, SCOUT Cosmetics. 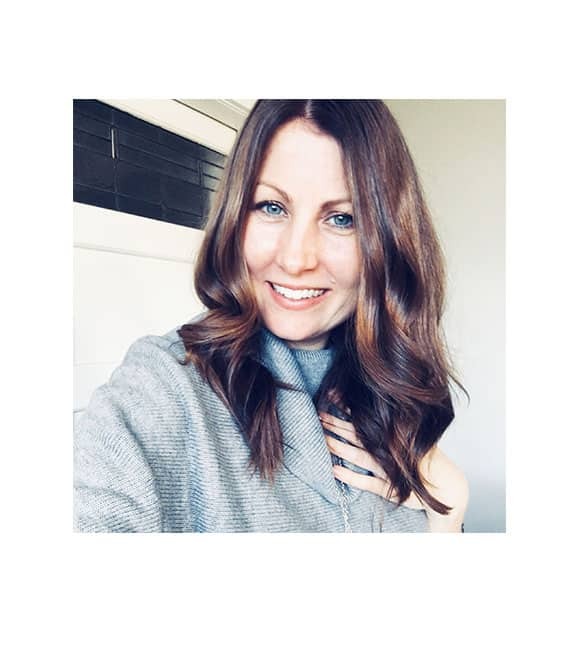 Founded by Sylvie Hutchings in 2008, it’s a company with a transparent mission and ingredient list to match, giving discerning natural beauty lovers a brand they know they can trust. 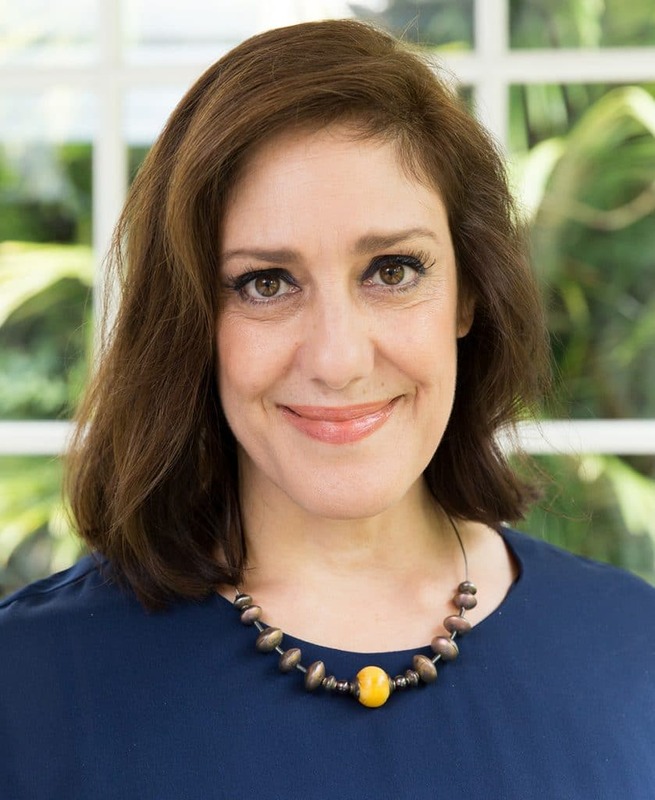 Yet, SCOUT Cosmetics was really founded Sylvie’s family’s kitchen when she was a child, if you consider how her German mother and Italian grandmother greatly impacted her love for natural beauty, with their own love of herbal remedies and holistic traditions. 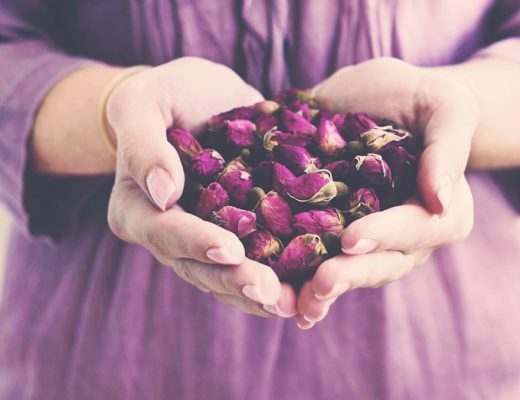 Scents of lavender, jasmine and bergamot were a childhood mainstay, with her grandmother crafting nourishing soaps and body scrubs from the family kitchen. Meanwhile, Sylvie’s aunt was responsible for sending her the latest European fashion trends—along with her very first make-up kit. Fast-forward to 2018, and Sylvie Hutchings is at the helm of a thriving business, responsible for a beauty brand that has become somewhat of a cult must-buy, particularly for its toxin-free polishes. The latest collection of nail colours are infused with superfoods, example of how this beauty trailblazer is always formulating with Mother Nature, and the health of her fans, top-of-mind. 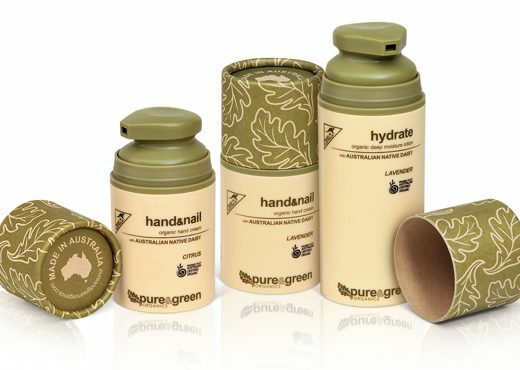 Despite SCOUT Cosmetics’ success, the company philosophy is, in fact, quite simple: products must be Australian-made from only high quality certified organic and natural ingredients; be formulated by experts and manufactured to Australian and international stands; and be highly effective for the skin, while being enjoyable to use. The brand recently added COSMOS and Australian Certified Organic certifications to its suite of much-loved products. 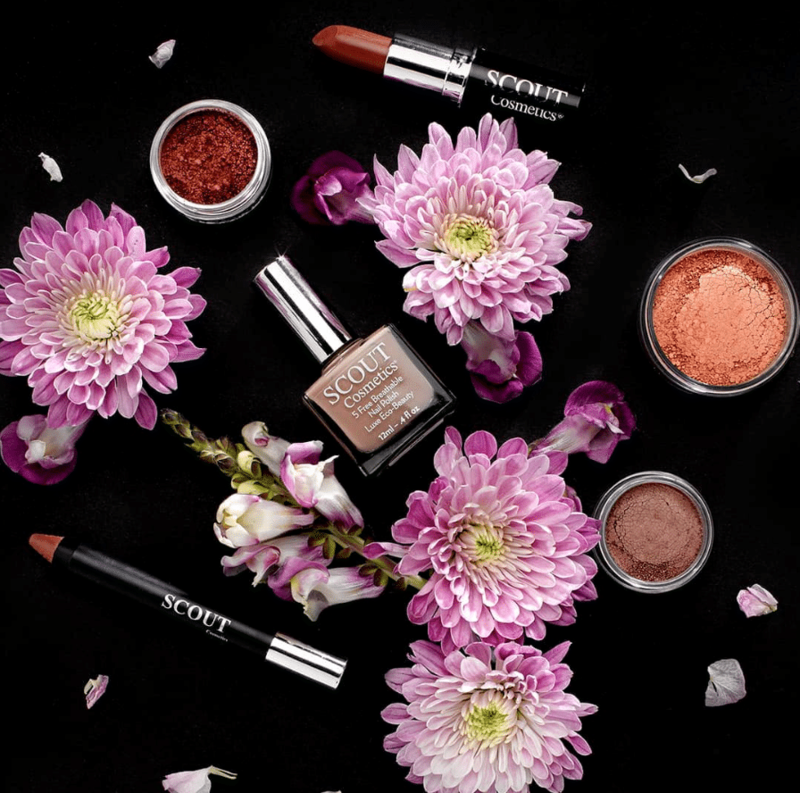 I spoke with Sylvie about her passion for SCOUT Cosmetics and what is means to be an authentic, transparent brand in an often greenwashed market. Congrats on your COSMOS and Australian Certified Organic certification. How stringent is the certification and what process did you have to go through? COSMOS and Australian Certified Organic (ACO) are two of the most stringent certifications for cosmetics globally. 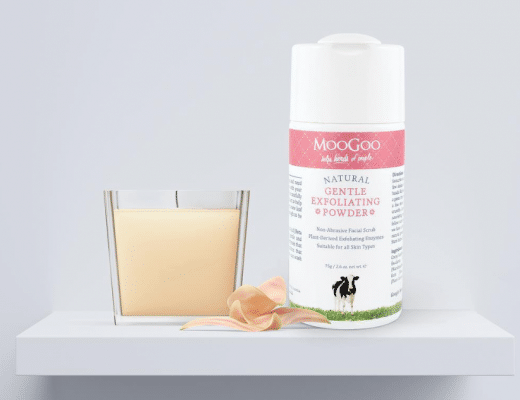 Each certification requires various percentages of certified organic ingredients, with further requirements that there are no genetically modified or irradiated ingredients, no nanoparticles and no animal testing. Product packaging also has to meet sustainability requirements. Our process of attaining both of these certifications included an initial application to an authorised certification body followed by a rigorous review of every element of our production cycle. 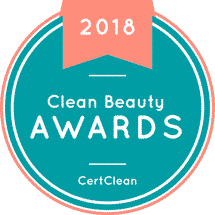 Each product within our active beauty range has been reviewed to ensure they not only meet the accreditation guidelines but fulfil our promise of integrity, transparency and accountability as a natural cosmetics brand. We are proud to be one of the first Australia cosmetic brands to have earned both of these certifications. Your family also had a love of natural and holistic beauty. Can you tell me a little bit about your grandmother’s influence on your life, and business? My foray into the world of eco-beauty, colour and cosmetics was very much influenced by my mother’s very own holistic German traditions and use of established herbal remedies. In addition to this, my Italian grandmother would make soaps and body scrubs using available farm ingredients including, lavender, olive oil, jasmine and bergamot. I also had a glamorous aunt who lived in Europe whilst l was growing up and she would send me the latest fashion trends and also gifted me my very first make-up kit! I think this culminated into my decision to start Scout with a significant focus on natural and organic beauty products. My upbringing really inspired me to unlock the combination of natural therapies, cosmetic science and traditional medicine training, with my love of colour and fashion, the philosophy of SCOUT was born. As a cancer survivor, how important would you say natural and organic skincare and cosmetics is to our overall health and wellbeing? I think natural and organic are extremely important not just for me as a cancer survivor but for anyone looking to make an eco-conscious decision about their skincare and cosmetics. It is about effectiveness, quality and integrity and this is what makes choosing certified natural and organic products and ingredients so important. Most people also forget that our bodies and skin are very absorbent; the ingredients within any skincare or makeup product we use are being absorbed into our bodies and having an adverse effect on our overall health and wellbeing. Chemical toxins are very destructive whereas natural products, including natural plant and fruit extracts are better for your skin as they have nutritional value that help to support the skin. 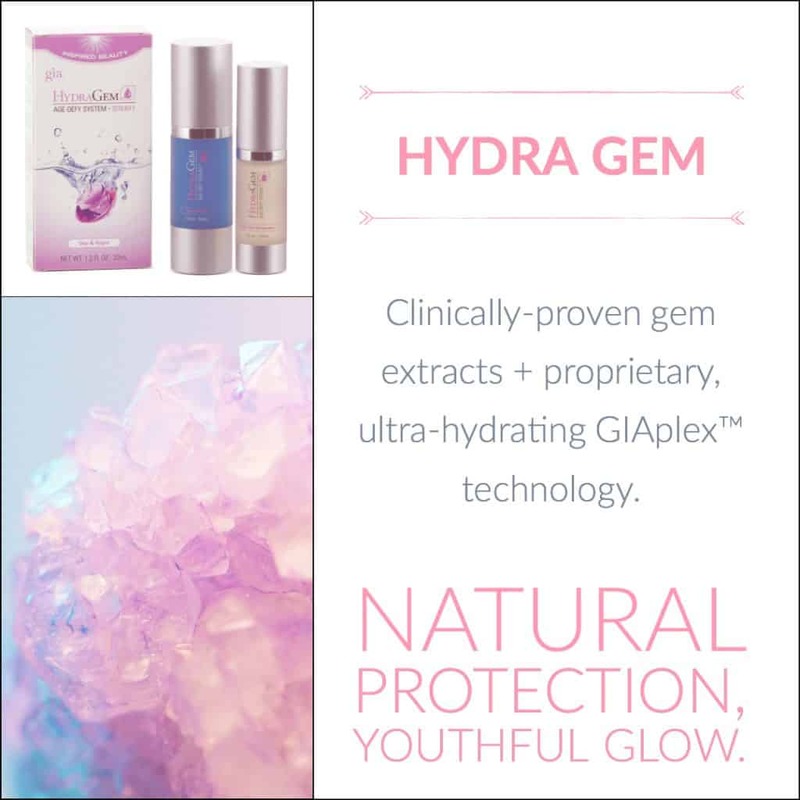 They have been researched to make sure that they repair, refine, and rejuvenate skin without potentially harmful side effects. 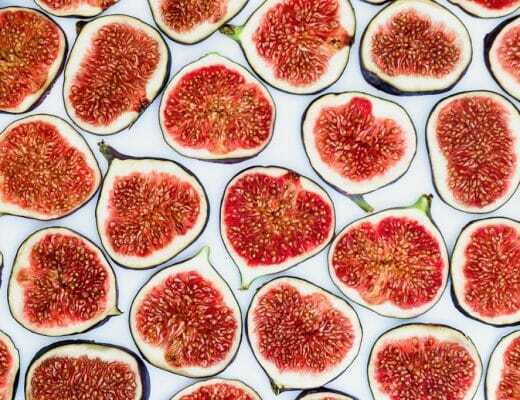 By using natural and organic products, you know exactly what is going on and into your skin. You don’t have to worry about synthetic fragrances and chemicals and what they might do to your face & body. Do you find consumers are savvy when it comes to understanding authentically natural and organic, or is there a constant need for education? 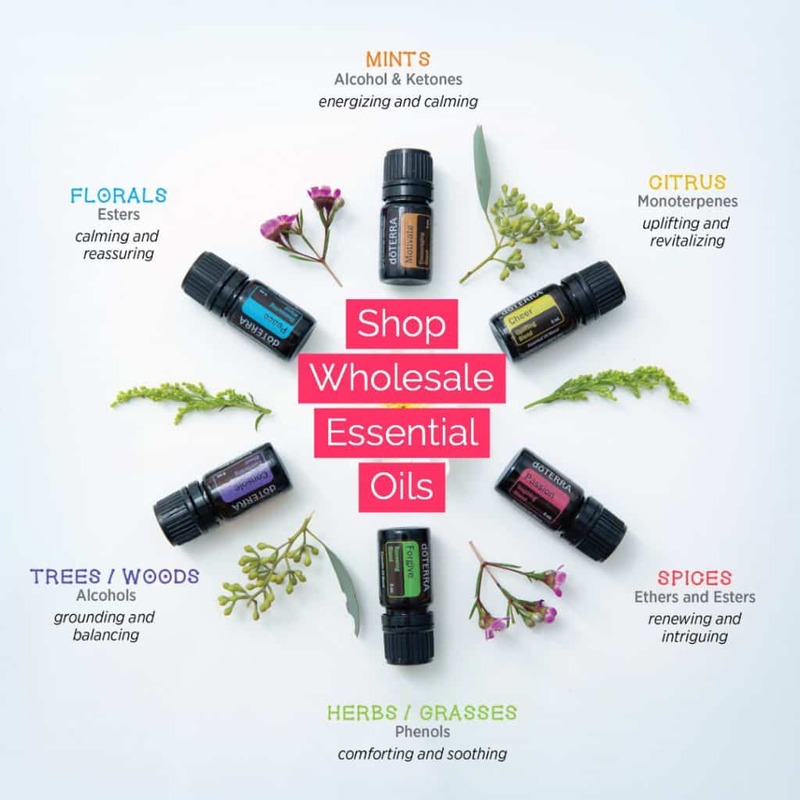 Consumers are become increasingly aware of what it means to be authentically natural and organic, but it’s still an area that needs continual education. As we have seen with the introduction of the new COSMOS certification in Australia, there are always further verifications natural cosmetics brand can obtain to showcase their integrity as validly natural or organic and this can cause confusion amongst consumers. An easy way to find out if a product is 100% natural or organic is to check if it has been certified by a third-party organisation to ensure that the formula is naturally derived and free from synthetic chemicals. Another way to check is by simply looking at the list of ingredients. SCOUT is well known for its vegan nail polishes. Is it possible for a nail polish to be all-natural? What considerations do you have to make when formulating? 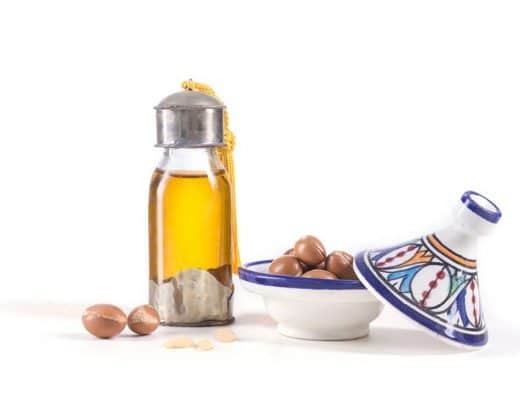 Currently we are unable to manufacture a nail polish that is 100 percent natural, however, there are many ingredients within traditional polishes that we should be highly wary of and exclude from our formula. Our breathable super food infused nail collection provides women with the choice of vibrant, long-wearing fashion colours – all while being free from potentially harmful and unnecessary chemicals. We recently updated our polish formulation to include key superfood ingredients including Broccoli Seed Extract, Bamboo Tree Extract and Camelia Seed Oil, to help nourish, hydrate and revitalise nails. What do you recommend people use to take off their polish, without all the toxins of traditional remover? Nail polish remover can have many of the same harmful chemicals as the polish we are trying to remove, stripping vital moisture from our skin and nails. I recommend our nail polish remover with aloe vera and Vitamin E. We use a water based formulation infused with aloe vera, calcium, pro vitamin B5 and Vitamin E to soften the skin and strengthen the nails while removing all types of nail polish colour. The strengthening, healing and nourishing formula is vegan and both acetone and acetate free and non-flammable. Is there a particular SCOUT product that has become a customer favourite? If so, what is it and why do you think that is? 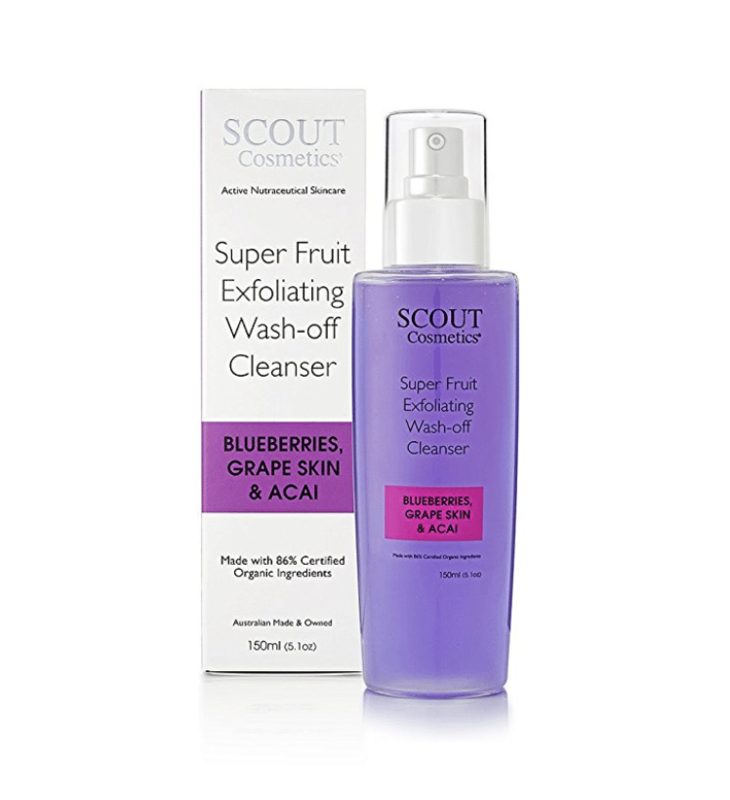 We find consumers really love our Blueberry Wash off Exfoliating Cleanser. I think the fact its smells and feels exactly like its ingredients and is also so good for the skin is what makes it resonate with our customers. Is the brand all-natural? What do you use as a preservative and why? While there is no formal definition of ‘natural’, SCOUT products contain the best quality ingredients, including super foods, minerals and botanicals. We utilise preservative systems that contain natural ingredients and are also effective in maintaining product efficiency and shelf life. I always suggest customers be cautious about claims about products being ‘chemical or preservative free’ as nearly all cosmetics contain water and thus a preservative is required to prevent microbial activity over the shelf life of the product. The beauty industry is awash with natural and organic claims, yet when you study the ingredient labels it quickly becomes evident there’s a lot of greenwashing going on. What are your thoughts on this? There has never been so much confusion in the industry when it comes to claims for natural and organic products. I think it is more important than ever that consumers are aware of what certifications are required to support these claims and can then make informed purchase decisions. I think it is more important than ever that consumers are aware of what certifications are required to support these claims and can then make informed purchase decisions. The best way to avoid ‘greenwashing’ tactics is to educate yourself and do your own research. Check the ingredients list and just don’t rely on the brand’s claims that their products are ‘natural’ or ‘organic’. You will find that natural or organic ingredients will often have a relatively short and understandable ingredients list. But a sure way of knowing is looking for certified natural or organic logos for certification bodies such as COSMOS and the ACO. What is authentic beauty to you? Authentic beauty is about confidence, charisma and character. My beauty vision has always been fairly simple, helping women find a heathier, active, natural choice for beauty.